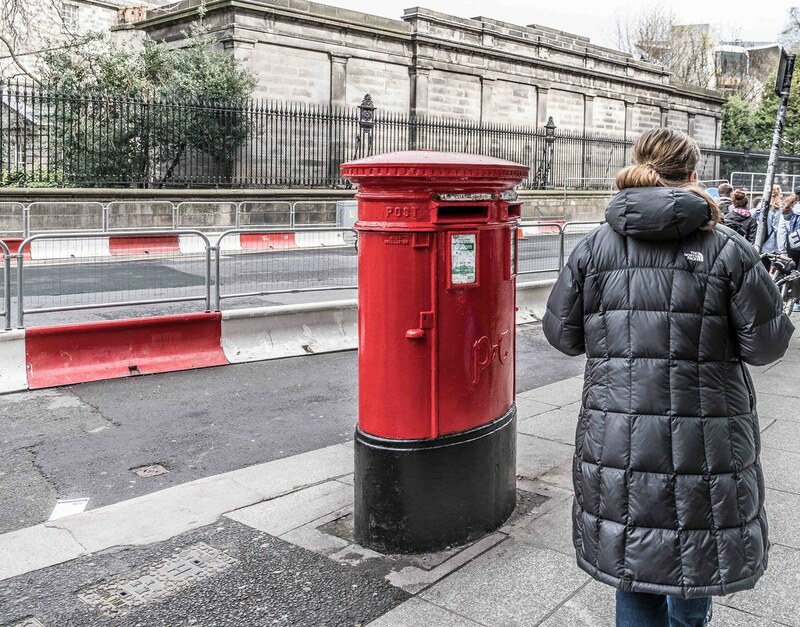 Back in 1916 Post Boxes [Pillar Boxes] in Dublin would have been painted red rather than green as they are today so someone came up with the idea of painting selected Pillar Boxes red to recreate the Dublin of 1916 but unfortunately they selected some P&T post boxes which would never have been painted red. 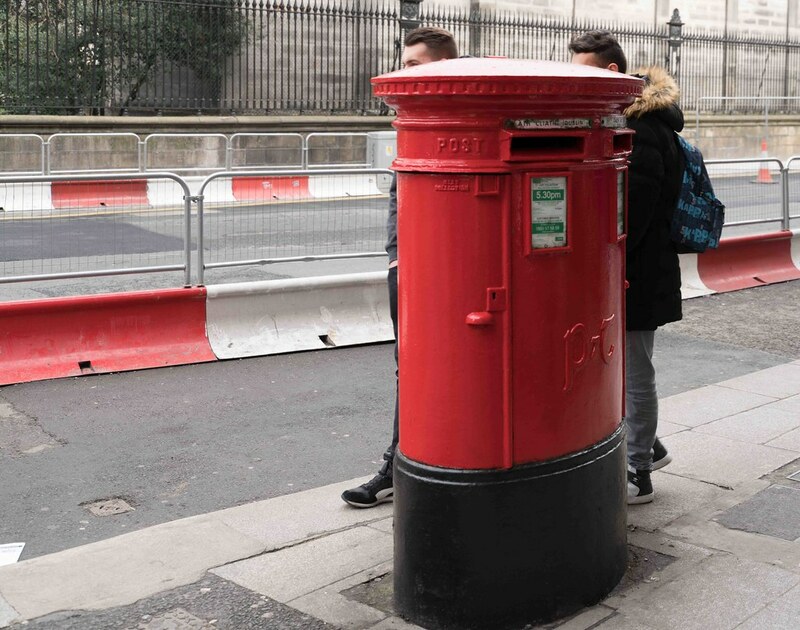 I do not know if the other pillar boxes are P&T boxes but I do know that many people are not at all happy with the idea but I do think that the idea was not at all bad. 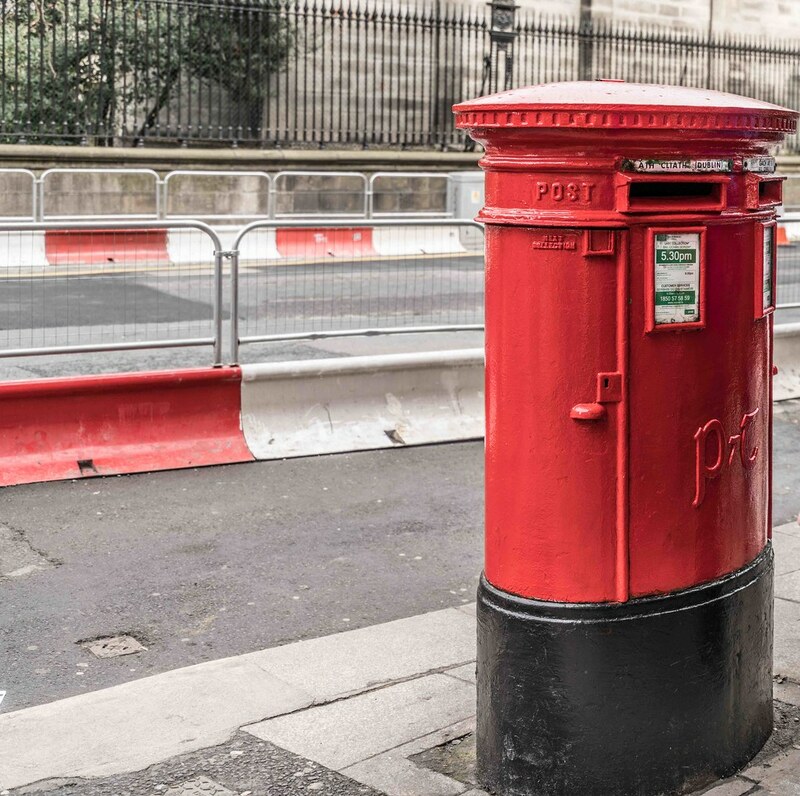 It should be noted that originally all post boxes across Ireland and the UK were green, before the British post office switched to red in the 1880s. 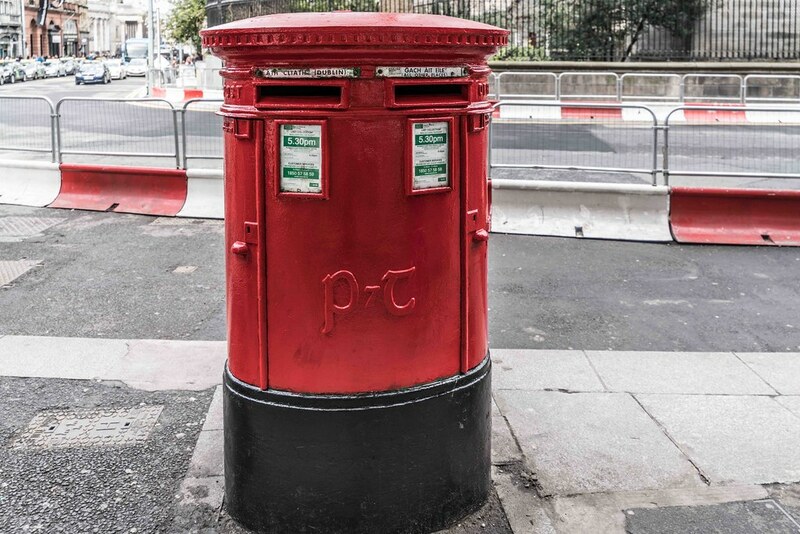 Following Irish independence in 1922, existing British pillar boxes were retained, and simply painted green. 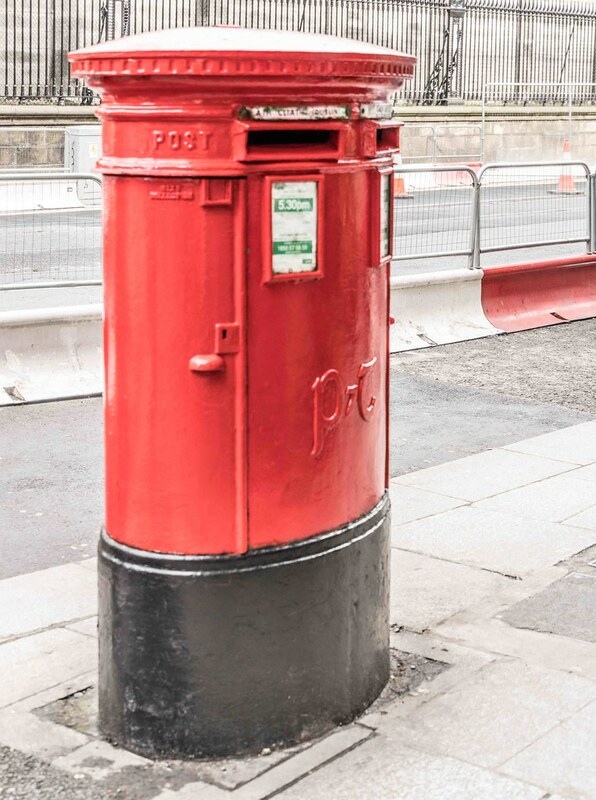 Many of these are extant around the country, retaining the monogram of the monarch who reigned at the time of the box's installation. 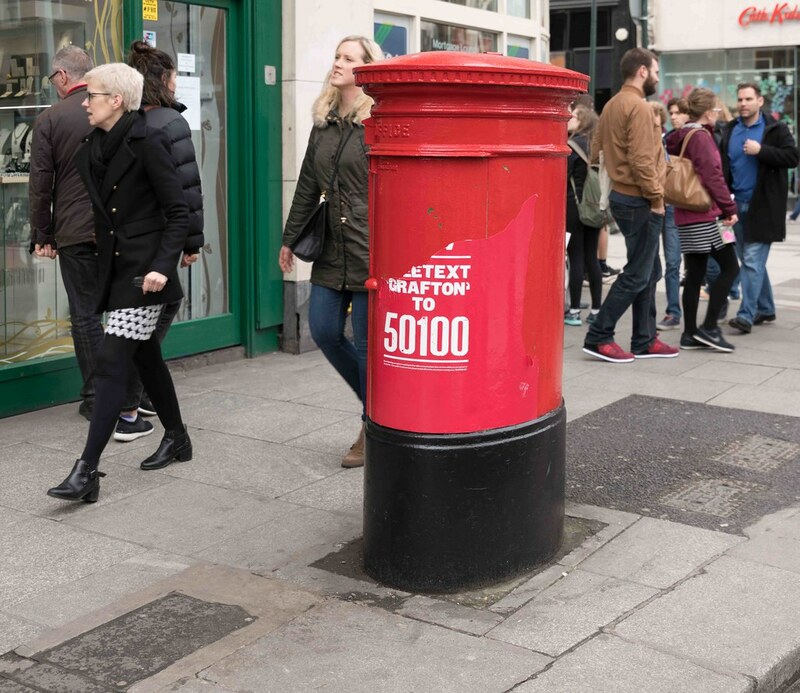 The Department of Posts and Telegraphs continued installing similar pillar boxes and wall boxes, but with the initials SÉ (for Saorstát Éireann), a harp or the P&T logo, instead of a monarch's monogram. 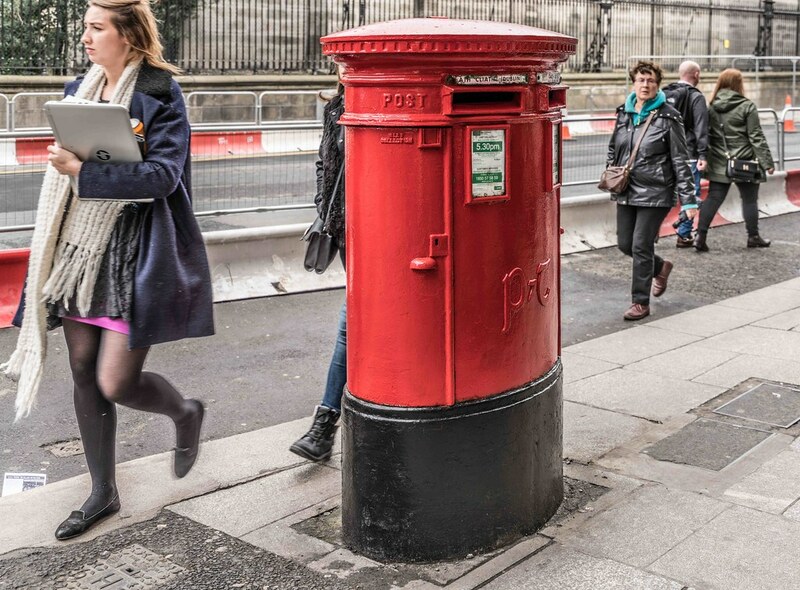 Since 1984 An Post, the current Irish postal administration, uses the An Post logo to adorn its posting boxes.